High School Leadership Conference (HSLC) is a one-day event hosted by qualified Auburn University students for high school students in Alabama and surrounding states. The purpose of this conference is to give high school students the tools they need to become successful leaders in both their schools and communities. We accomplish this mission through breakout sessions, guest speakers, service learning as well as team building exercises that are designed to develop each students' character and challenge their leadership abilities. Our goal is for students to leave more confident in their leadership skills and for students to use these skills to make their school and community a better place. Any student currently in high school (9th – 12th grade) is invited to join us for a full day of leadership, fun and fellowship! High School Leadership Conference will be held in Auburn University’s Student Center Ballroom. A light Breakfast buffet will be offered in the Ballroom from 8:30 am – 9:00 am. A Lunch & Dinner buffet will be hosted in the Ballroom. Parking for HSLC participants will be on the 4th floor of the Campus Green "Stadium" Parking Deck. No on-campus housing will be provided to HSLC participants. Should you require lodging, please see our "Resources Tab" for hotel recommendations. 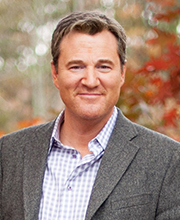 Hal Runkel is a speaker, coach, NYT bestselling author, and one of the world’s most trusted resources for life improvement. His practical words on life, love, and leadership help people around the world lead calmer, happier lives. 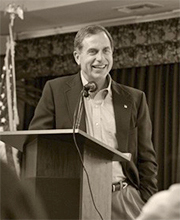 Hal regularly speaks at conferences, companies, schools, and many other organizations worldwide, and he also provides leadership and marriage coaching services across the country. He and his wife, Jenny, live just outside Atlanta, trying to both support and let go of their two kids in college. Respond More, React Less…Create More, Critique Less…Finish More, Start Less. These are some of the small but significant choices of successful adults, and these are the choices teenagers and college students need to master. What started as a letter to his graduating daughter turned into New York Times Bestselling Author Hal Runkel’s newest program for senior high school and college students. Using humor, story-telling, and real-life scenarios, Hal leads college students out of the adolescent world of black-and-white reactivity, and into the adult world of sophisticated, effective decision-making. As a motivational speaker and humorist, John reaches thousands each year. His teachings have spanned the globe, encompassing 22 countries and totaling more than 10,500 times over the course of nearly 4 decades. Born in the small town of Abbeville, Alabama, he was taught early on about the importance of hard honest work and building lasting relationships. He went on to play football for Auburn University and was drafted by Oakland. When his football career came to a sudden end in 1970, John explored the business world. After six years he answered the calling deep down inside and began speaking full-time. He has been teaching companies how to incorporate those honest values that he learned so long ago into building lasting working relationship with each other as well as the companies they work with. John has received countless awards and recognition, but nothing is as rewarding to him as when he is sharing the simple but important principles of living with a group of people. He has spoken for multiple companies in all parts of the world. He does team building and coaching for some of the most recognized brands. John is sure to stir and motivate anyone who is looking to excel and reach to new heights within themselves and the world around them. 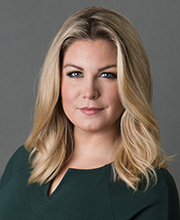 Mallory Hagan is a native of Opelika, Alabama where she graduated from Opelika High School in 2007. Upon completing a year at Auburn University, Mallory packed her bags, bought a one-way ticket and moved to New York City— with no job, no place to live, and no friends. In 2012, Mallory won the title of Miss New York in an effort to earn scholarship dollars. In January of 2013, she became the first Miss New York to win Miss America since Vanessa Williams. Post Miss America, Mallory co-founded a small personal branding business called DEFINE: Mind. Mission. Marketing. She and her partner consulted with over 200 clients across 47 states in the duration of their time in business together. In 2016, Mallory joined the news team at WLTZ First News NBC 38 in Columbus, Georgia. She covered community events, sports, breaking news and elections over the course of 18 months, until her anchor days were interrupted by Alabamian’s who were eager for representation in Washington, D.C.
ADVISORS PLEASE NOTE: To pay for multiple students, please click the "Advisor Registration" Button below. Once registration is processed, you will receive an e-mail within two (2) business days with an invoice. Please email auyouth@auburn.edu if your school requires a class excuse. No refund for a "No Show" or a cancellation received via e-mail less than 2 weeks prior to the start date of the program. All cancellation requests must be submitted in an e-mail sent to auyouth@auburn.edu. A registration may be transferred to another person at any time for a $25 transfer fee.